No one thinks about blood. We just expect it to be there when we need it most — like in a car accident. "It's just another commodity, like milk or gas, right?" Wrong. While blood products do comply with federal regulations for consistency, unlike the others above, their price is wildly (read: unfairly) different from state to state and from provider to provider. The result is shortages, price manipulation, and unpredictability for hospitals. And it's even worse for patients. They face postponed surgeries or even worse circumstances when caught in an emergency. Chris Godfrey, the CEO & Founder of Bloodbuy, had a better answer: A transparent marketplace that efficiently connects, prices, and fills blood products for hospitals in need. Chris picked Thinktiv to help him launch it. Chris Godfrey, the CEO & Founder of Bloodbuy, had a better answer: A transparent marketplace that efficiently connects, prices, and fills blood products for hospitals in need. Chris picked Thinktiv to help him launch it. How to create a market from scratch. Thinktiv and Chris, along with the major decision makers at both blood centers and hospitals, engaged in an in-depth contextual design process. 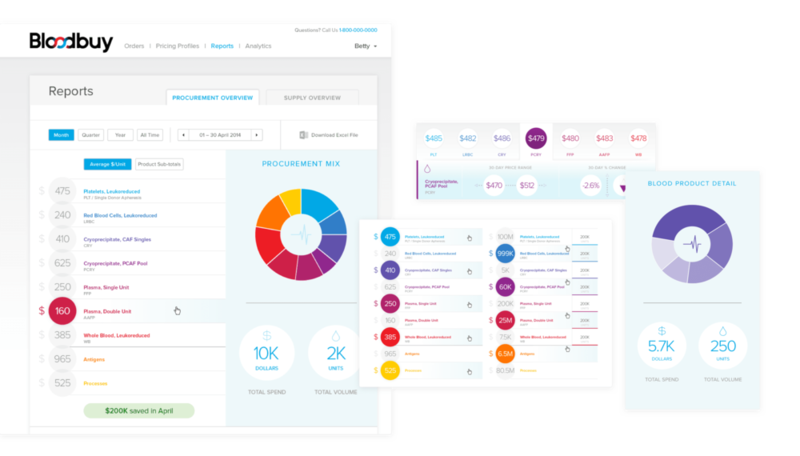 Through these activities, we transformed the stakeholder needs into seamless workflows that worked for both sides of the marketplace. From the executives down to the individual, we optimized the experience for each. The outcome was a revolutionary, but familiar experience; a platform that was intuitive, beautiful, and critical. and launch the platform in under a year. 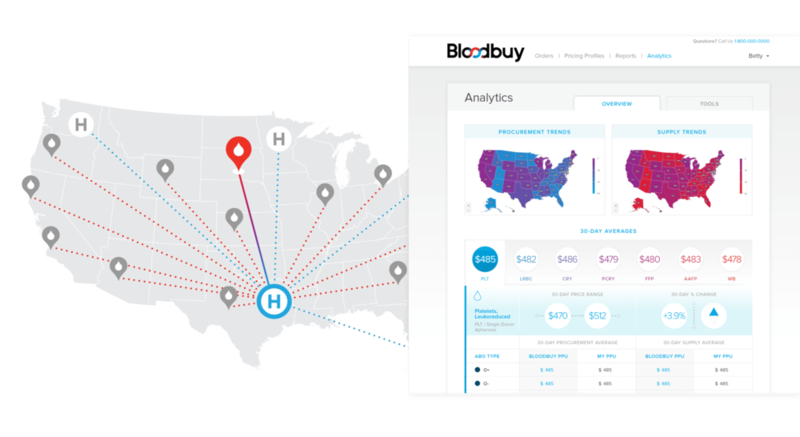 We launched a turnkey product platform for Bloodbuy. It was designed, built, and integrated into lighthouse clients in under nine months. The results: 22% reduction in total blood spend. 20% savings on platelet orders. 27% savings on orders for plasma. And winner of the Harvard Forum on Healthcare Innovation among other awards. and capture the first wave of customer growth.